I got an e-mail the other day asking what I thought about my negative scanner, the Reflecta Crystalscan 7200. This made me realize I haven’t blogged about my scanning progress for quite a while, or the fact that I have abandoned the bundled software SilverFast and gone with Vuescan instead. From day one the sliders in SilverFast have driven me half crazy. It is far from obvious what they do and how they interact with each other. They do interact though, there’s no question about it. Pull one slider and you might find it has affected some setting somewhere else. All in all it is very hard to get consistent results from frame to frame. The main culprit is the Auto Tolerance slider (left). Even though I’ve been working with photos digitally for at least a decade I simply cant describe in words what this slider actually does. And whatever it does, it does it inconsistently. Or at least unpredictably. The documentation for this software is also severely lacking. For instance, what does the Auto Mask checkbox do? What does Auto Mask even mean? And how does it interact with the film profiles? All the help pages on the web are completely outdated and only deal with old versions of SilverFast where the controls were different. It turns out the Auto Mask checkbox is non-reversible. So if you check it and then decide you don’t want the effect it won’t help to uncheck it. You’re stuck with it. 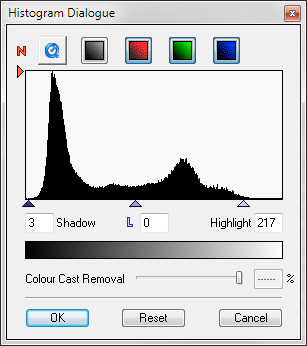 Then there’s the CCR (Colour Cast Removal) checkbox in the Negafix dialog (above) and a Colour Cast Removal slider in the levels dialog (right). So which one should I use? One other thing that annoyed me no end was the crop tool. It uses a thick (2 pixels) red border to show the cropped area. How about using a thin dashed line so I can see what I’m actually doing? It is slow too and changes thickness when you’re dragging it, so it involves much guesswork. I already had the 64-bit version of Vuescan installed to drive my old flatbed scanner, and I had tried to use it with the CrystalScan 7200. It didn’t work. Somehow, though, I found out that the 32-bit version might work, so I gave it a try. Lo and behold, it worked flawlessly. Vuescan gives me much better control over image quality, even if it isn’t perfect either. Just like SilverFast, Vuescan has colour profiles for a load of different negative films. 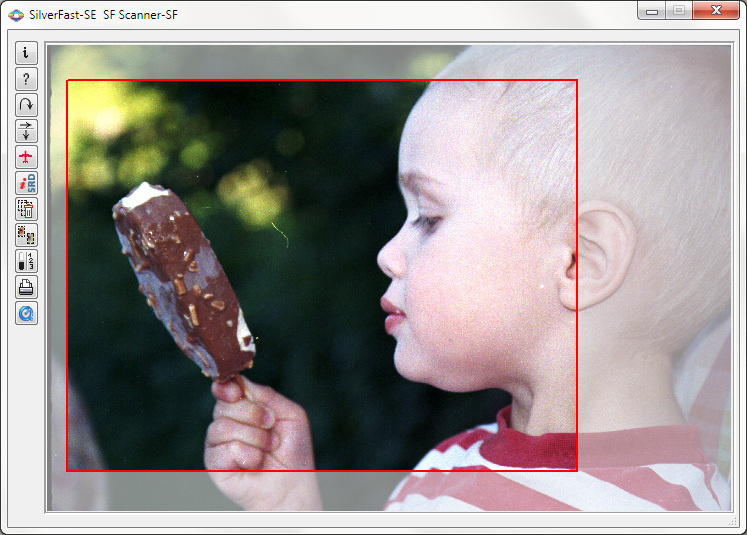 The crop tool is nice and easy to use, and allows you to tilt the frame slightly if necessary. Vuescan can also name your output files automatically in a numbered series, for instance from 01 to 36. In general it offers more control and less guessing. Vuescan only has two slight drawbacks in my opinion. There is no way of saving white balance presets. 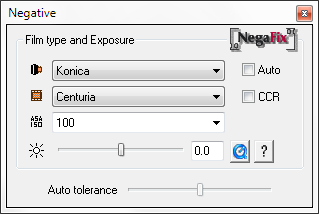 And the black and white point settings are relative (percent of image frame) and not absolute, which adds a degree of variation from frame to frame. Even so, there is less unpredictable magic here which makes it much easier to get reasonably consistent scans. Posted at 11:39. 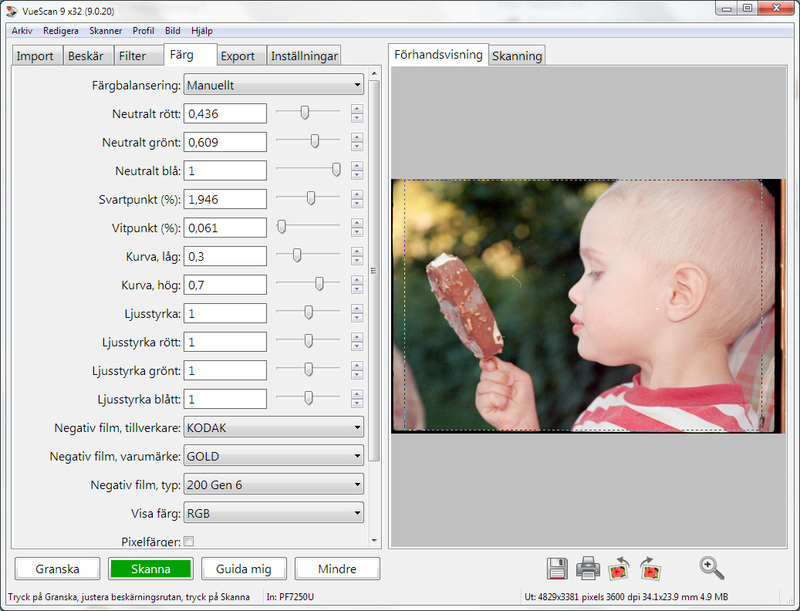 Tags: Crystalscan 7200, negative scanner, Reflecta, SilverFast, Vuescan. Categories: photography. Both comments and trackbacks are closed.